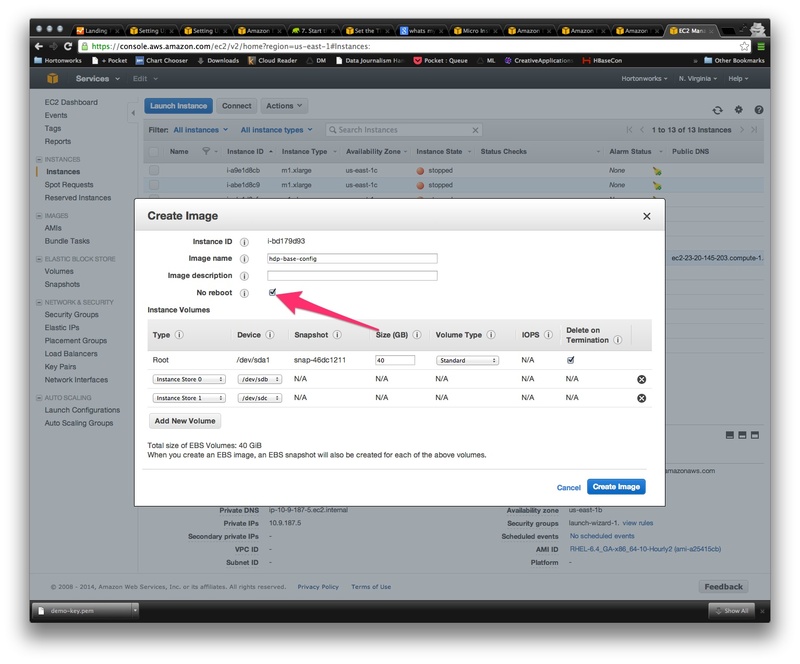 In this post, we’ll walk through the process of deploying an Apache Hadoop 2 cluster on the EC2 cloud service offered by Amazon Web Services (AWS), using Hortonworks Data Platform. 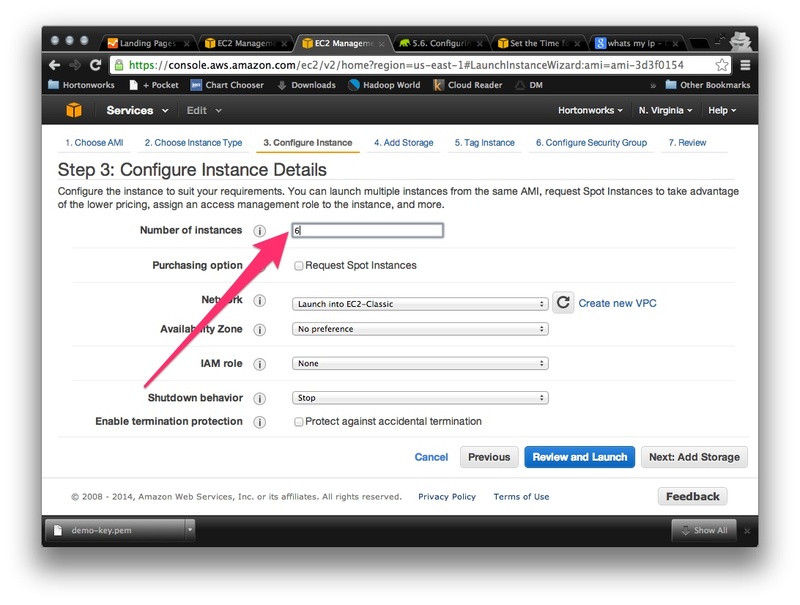 Amazon Web Services account with the ability to launch 7 large instances of EC2 nodes. A Mac or a Linux machine. 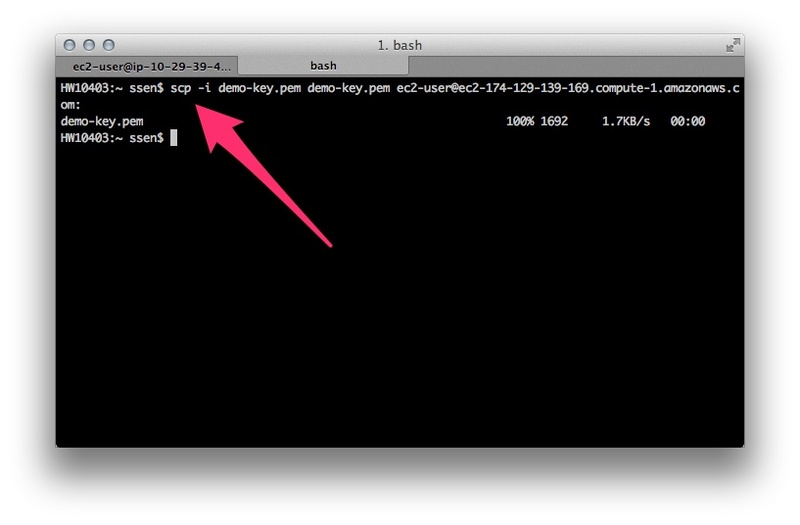 You could also use Windows but you will have to install additional software such as SSH clients and SCP clients, etc. 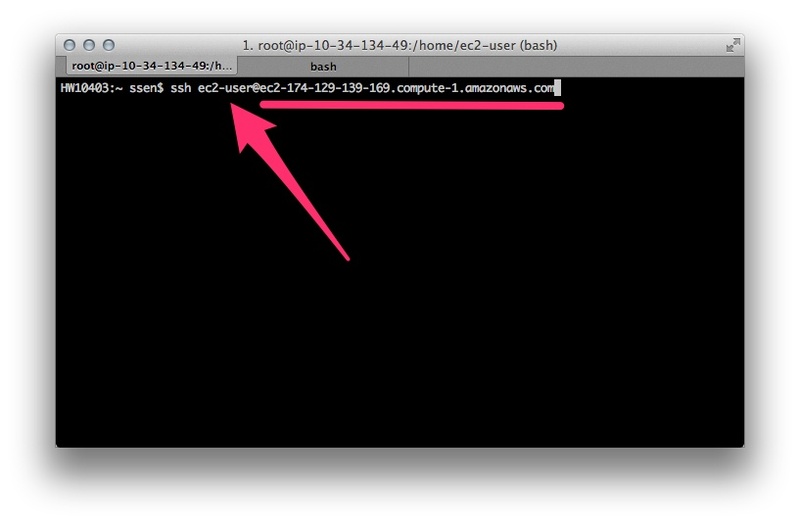 Lastly, we assume that you have basic familiarity with EC2 to the extent that you have created EC2 instances and SSH’d in. Everything looks good. Let’s view the instances. 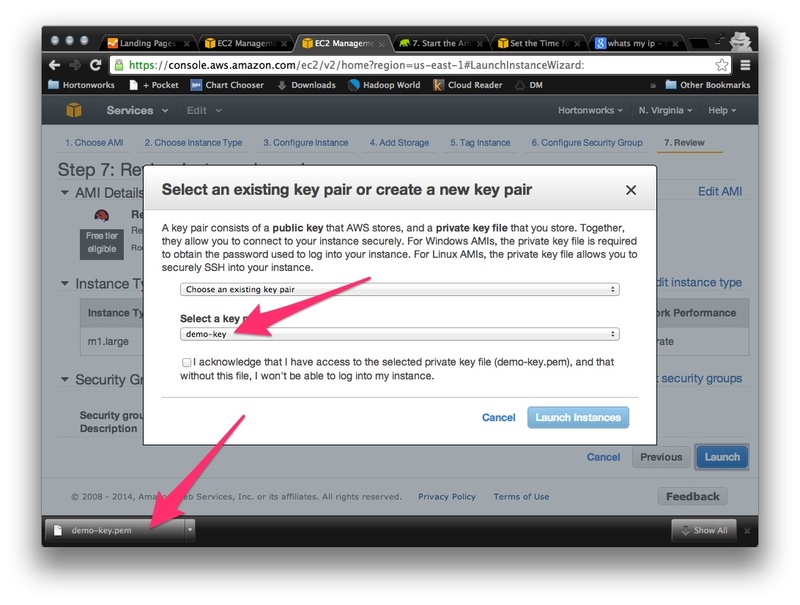 Let’s configure this instance for password-less SSH to all the other nodes in the cluster. 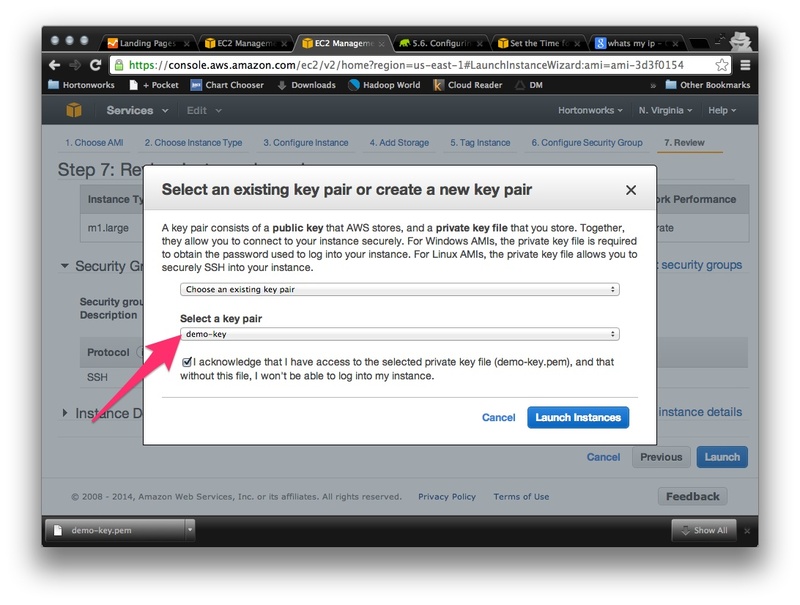 The first step is to have the private key on this instance. 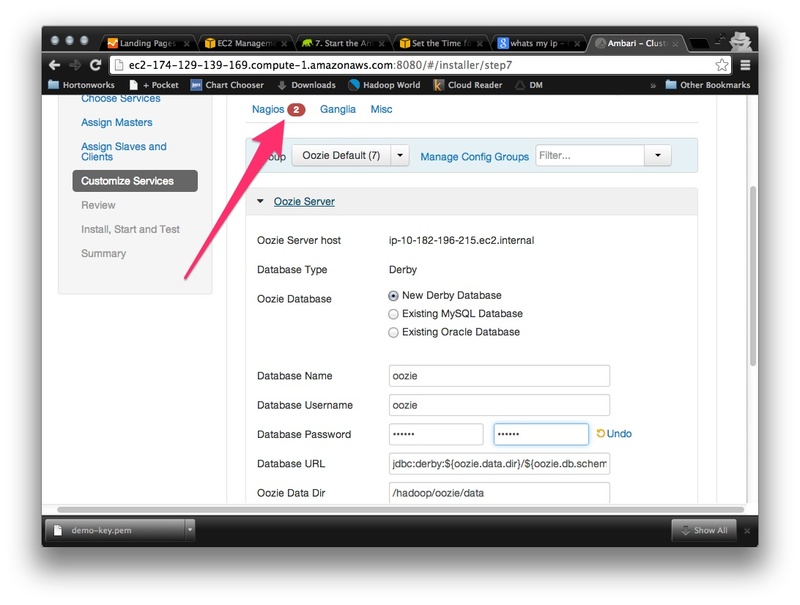 We have have to add rules to the security groups which was created by default when we launched the instances. That’s it we are all set to use Ambari to bring up the cluster. 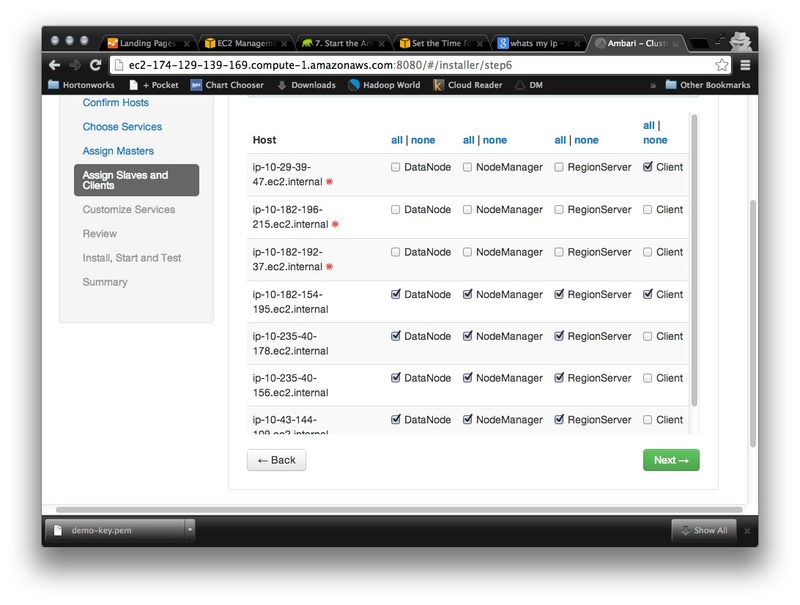 Next step is to configure which nodes do you want to Data nodes and Clients to be. 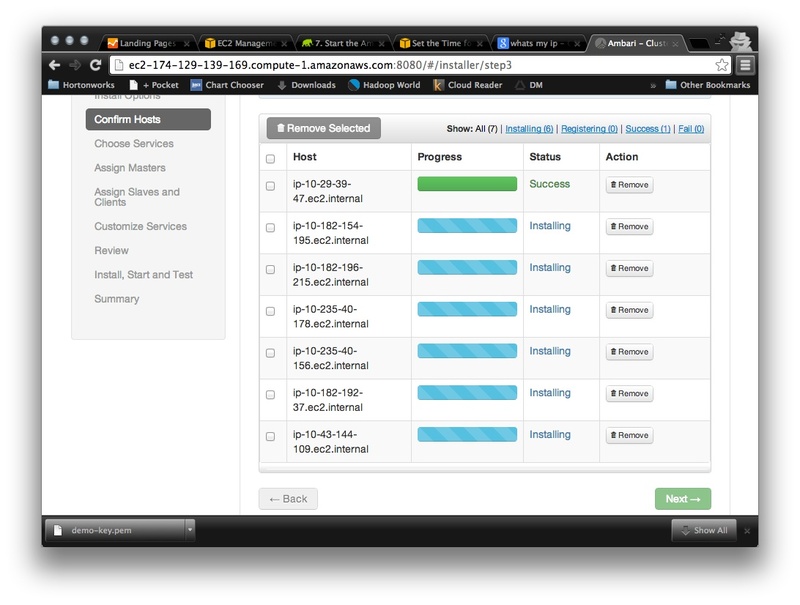 I like to have clients on multiple instances just for the convenience. Voila!! 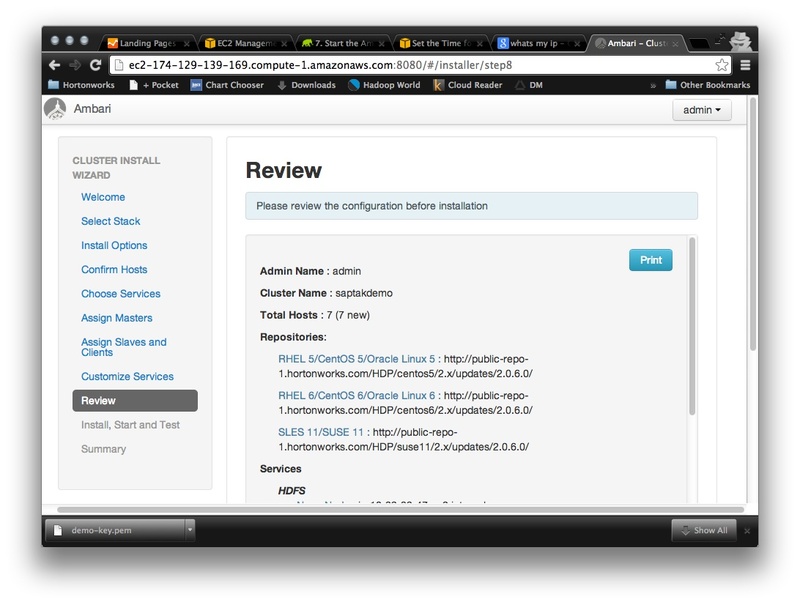 We now have a fully functional and tested cluster on EC2. Happy Hadooping!!! 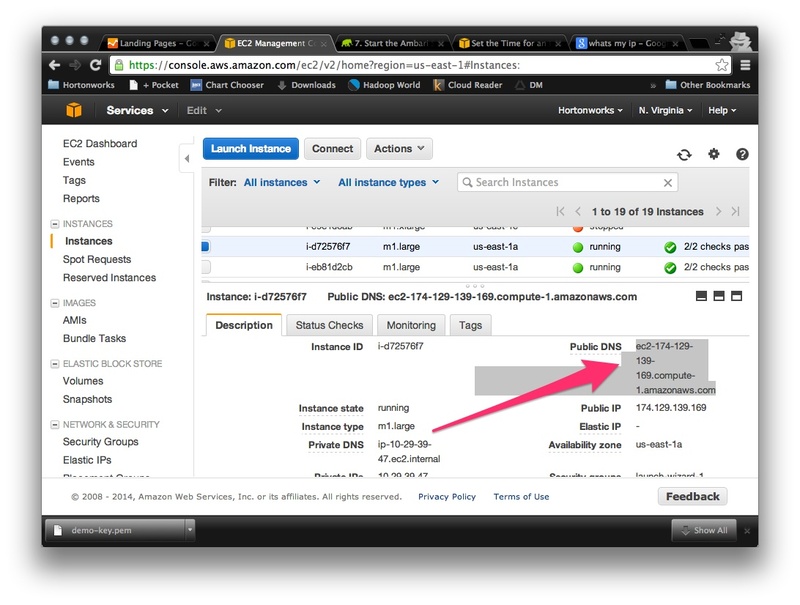 Do you really need large instances for trial ? What is the minimum amount of resources required ? do we really need large insatnces ?. Its costing me like anything. Thanks. Are large instances really necessary for trial?. Its costing me a lot ! Let me know soon ! Is there a Sandbox ready file for AWS? 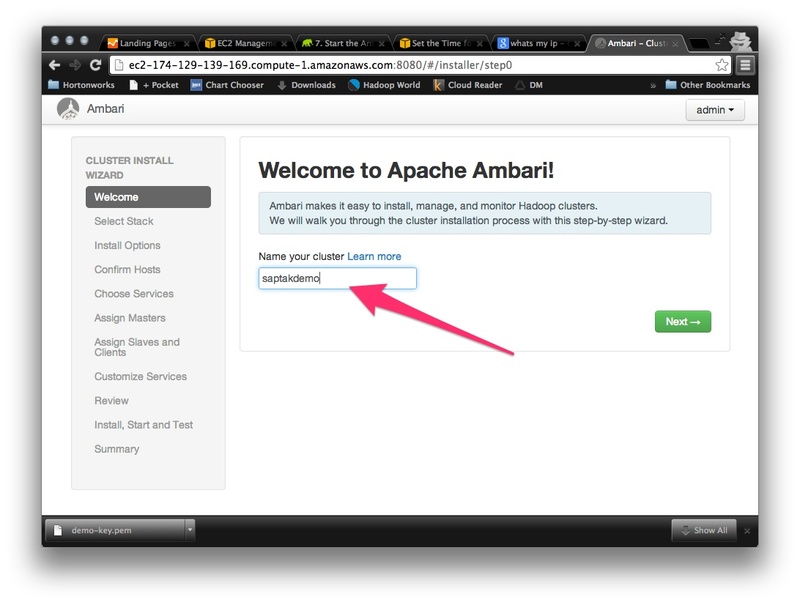 The login page for ambari is not opening. 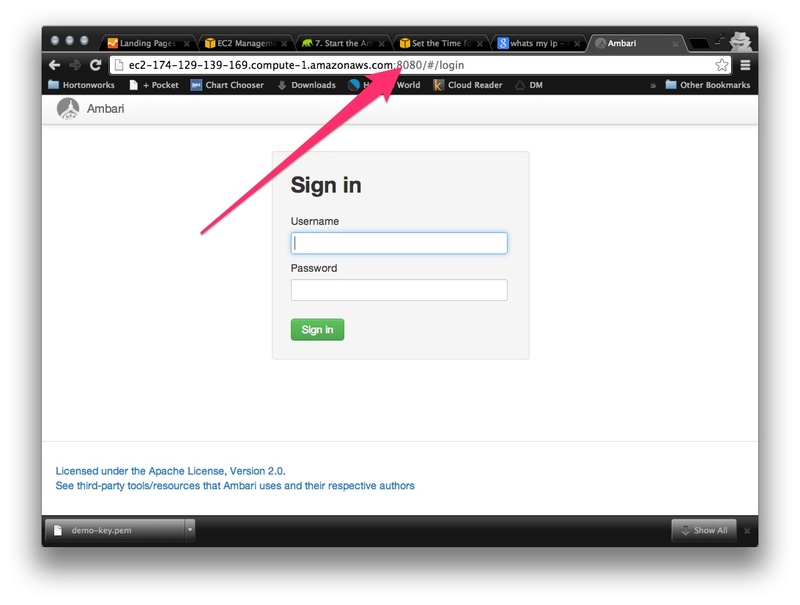 I am running the URL with my ambari server public dns:8080/login. I foolowed the security step to add 8080 for this server. 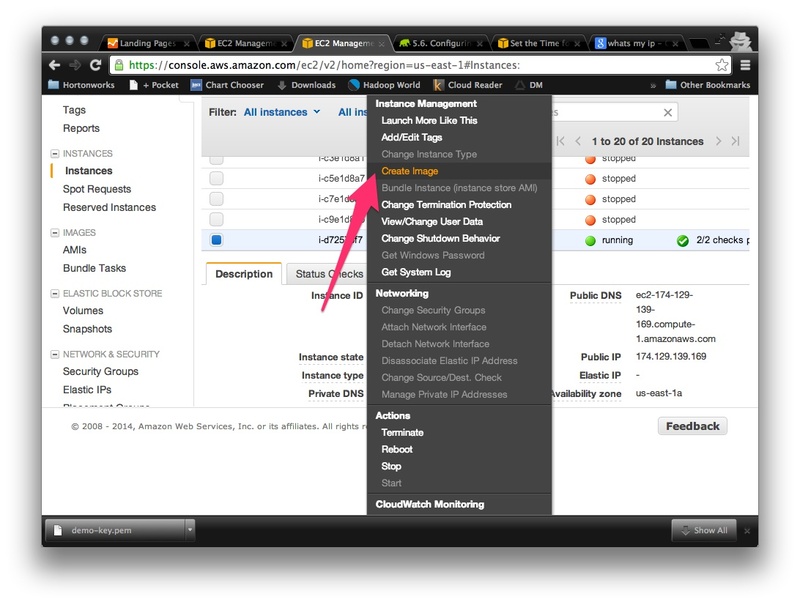 An excellent introduction to using Ambari on Amazon. 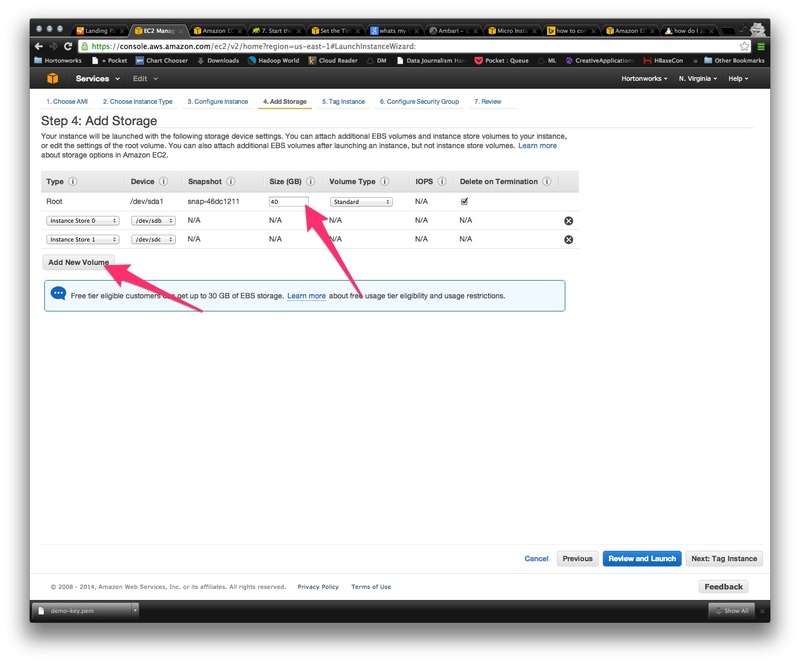 – Is there an automated script that you can use instead of the manual steps? 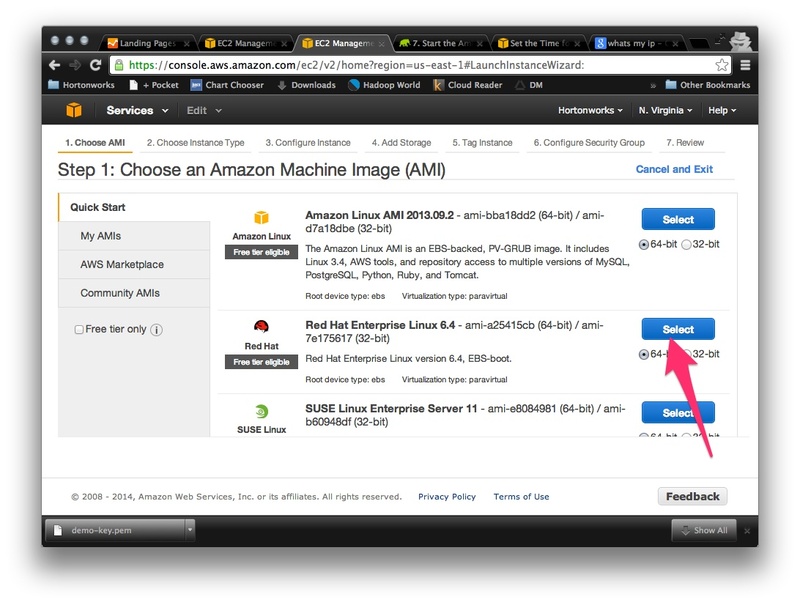 – Is the base machine image created as a publicly accessible AMI? This document seems few elements, will update and provide a link soon. 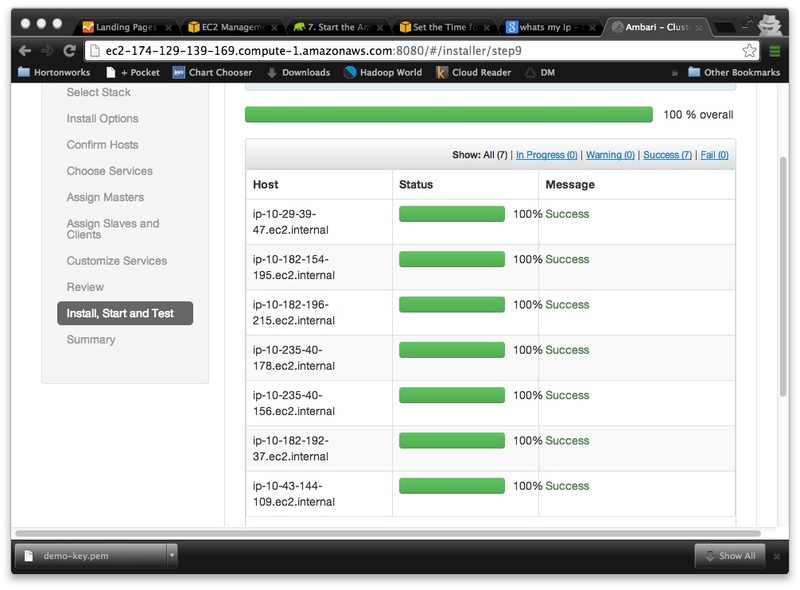 Host checks were skipped on 7 hosts that failed to register. Can someone please help me troubleshoot? Can someone help me troubleshoot? Please please. 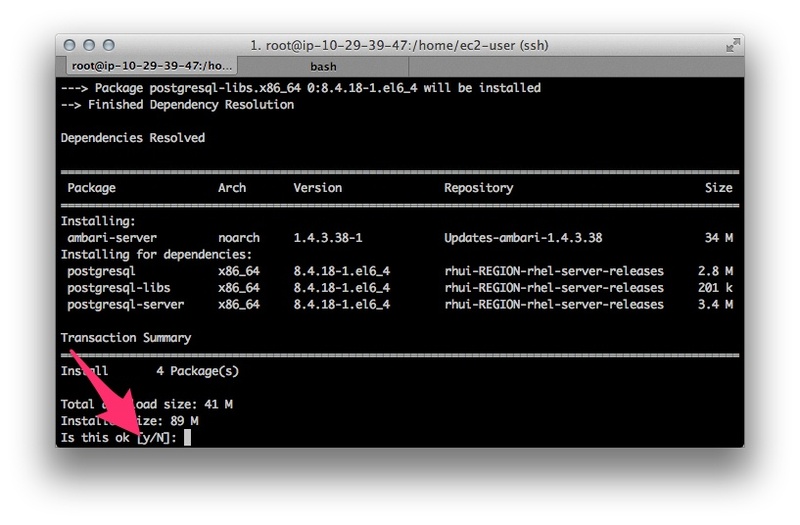 You need to install ambari-agents in all the node , and start them. 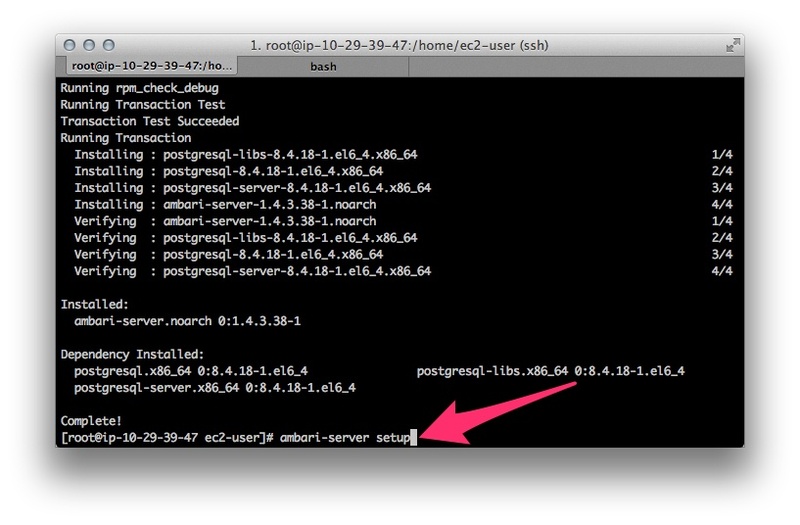 On the register hosts screen in ambari, Select register by ambari-agents rather than ssh. 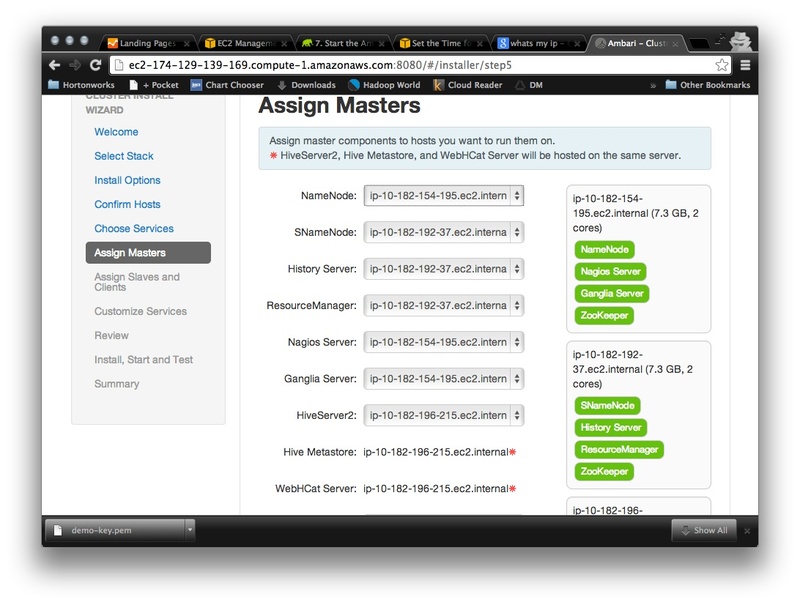 Moreover add all the hosts names in all the server under /etc/hosts file. This would solve your issues. 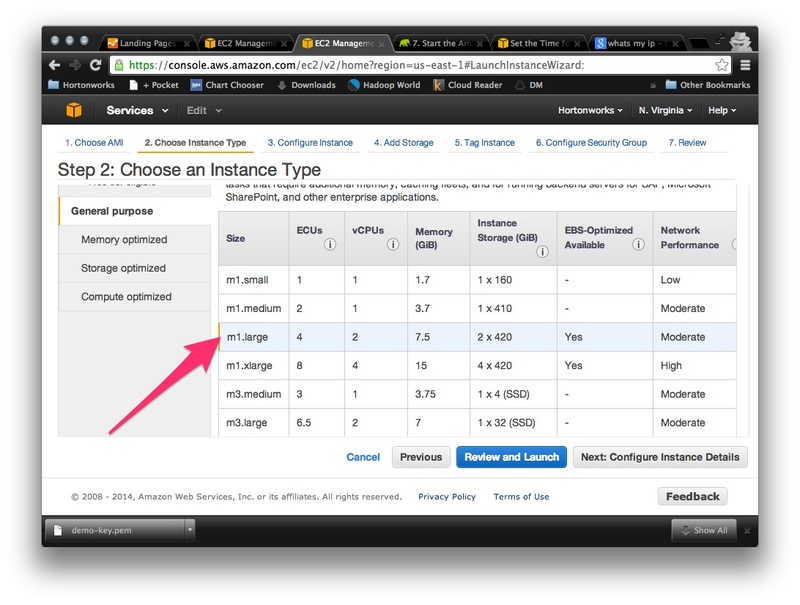 Is medium instances sufficient .? How many minimum EC2 instances we need for a cluster ? 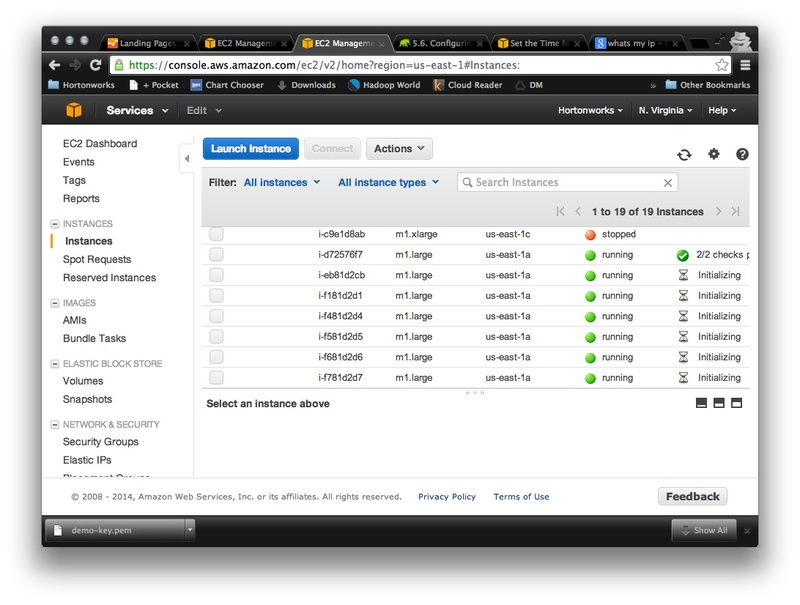 Is medium instances sufficient ? 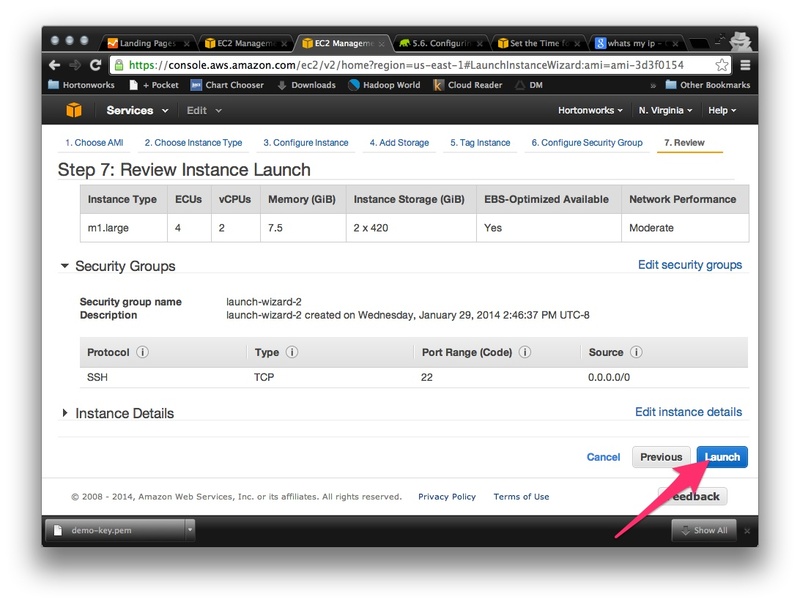 How many minimum EC2 instances are required for master /slave for a quick set up ? 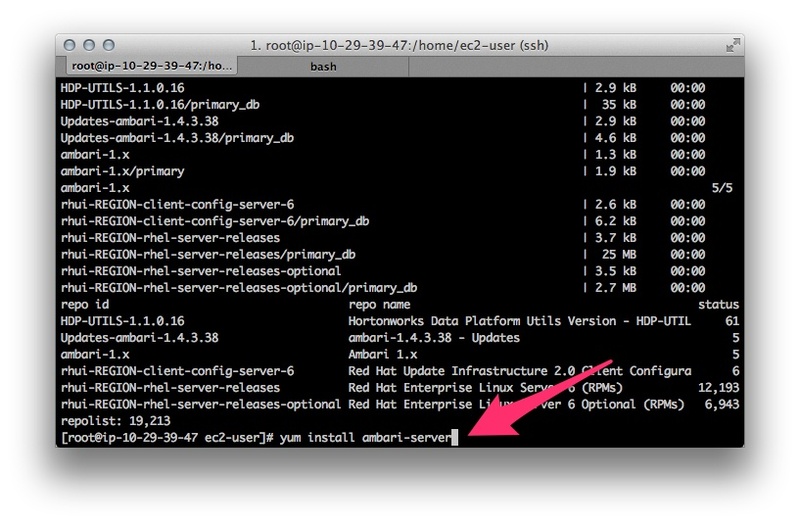 when i do yum install ambari-server , I get the following error. This also a complete show stopper for me. 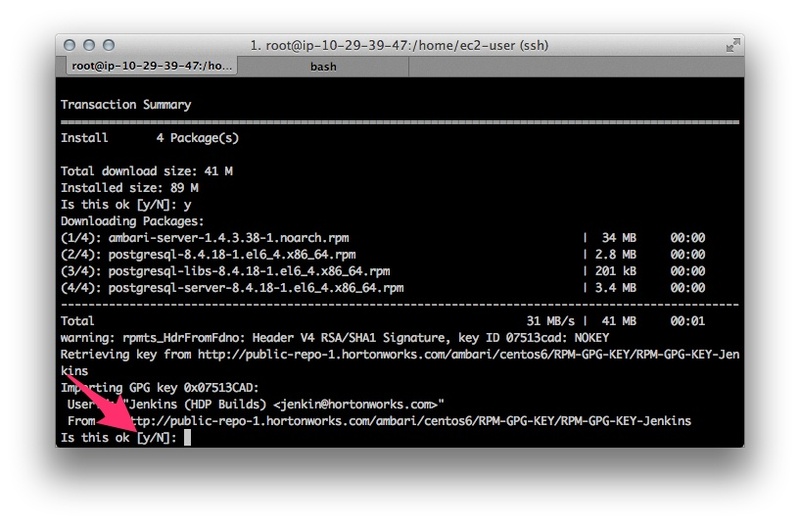 RHEL has package python installed which apparently is 2.6. IMHO easiest solution is to modify the dependencies of Ambari, because replacing the package “python” with “python26” is close to impossible. 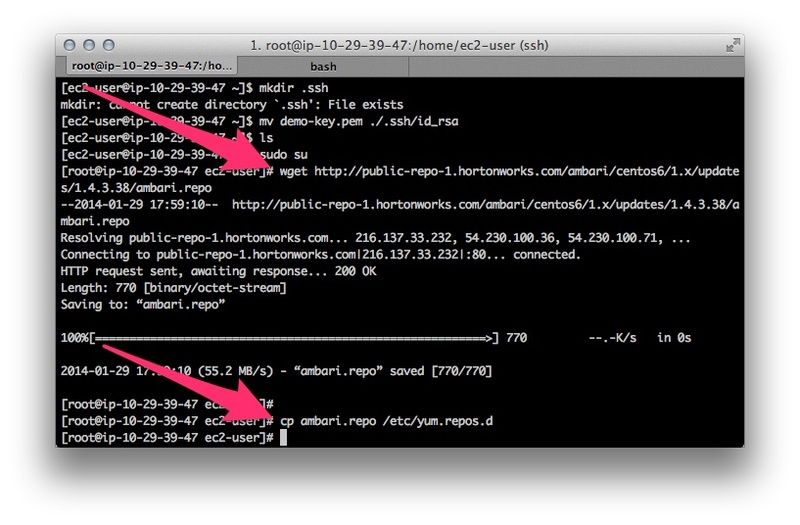 I had to install Ambari 1.5 instead of 1.4.3.38, then open up TCP on then 2nd security group to all addresses, to get this to work. 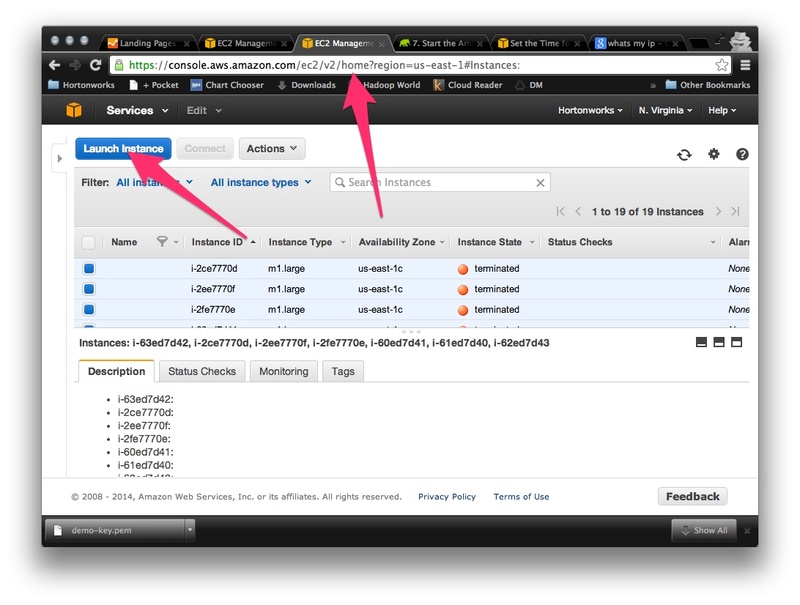 I also had to edit the Ambari config file and change the web port from 8080 to 80 in Amazon EC2. 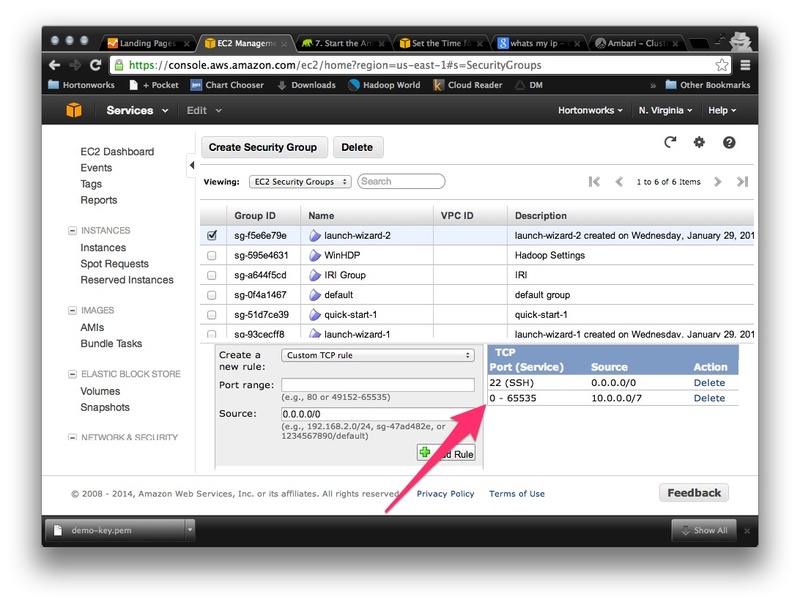 I would have liked to leave it at the original value but I could not change the port to 8080 in the security group in EC2. I tried to find the url for HUE but couldn’t, is HUE included in this install, or would it have to be installed separately on top? 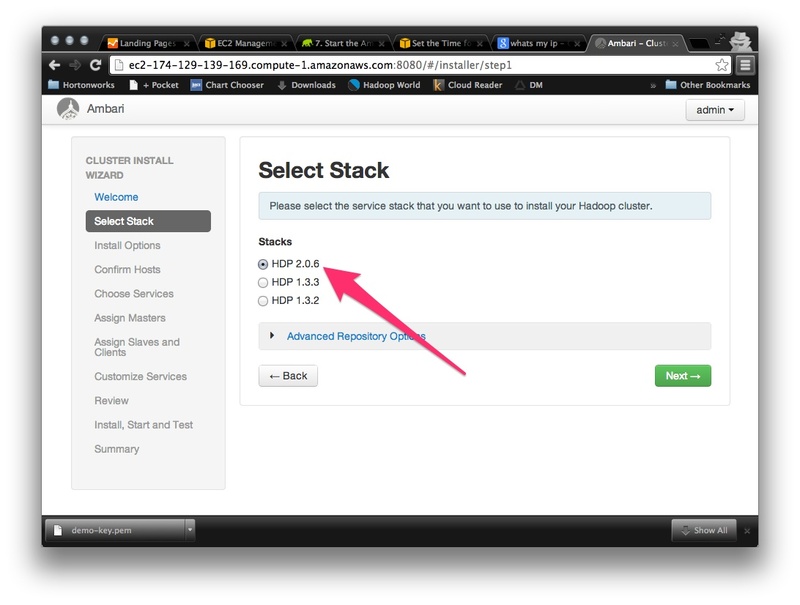 i follow step by step but there is error when creteing HDP stack. I’ve run through this tutorial before and it worked fine. Is there anywhere to check the logs to see what is happening and why it’s failing? 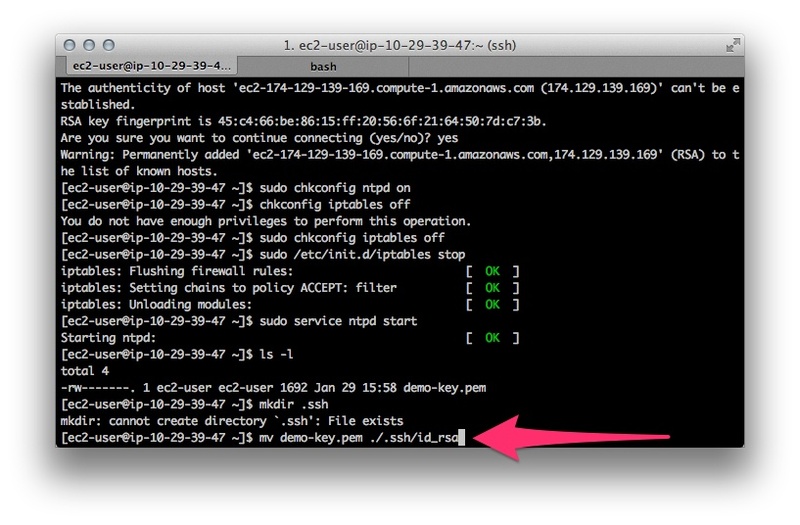 I can ssh from the original node to all the other nodes as both ec2-user and root. Is there something else I need to do? I got to the beginning of Step 4. But when I try to enter “http://(my public dns):8080”, the browser is unable to connect to it. Any suggestions for how I may fix this? Open the port 80 and 8080 in your Security Group used for master. @Jason Rubin, Any luck for connecting to the server with public DNS? 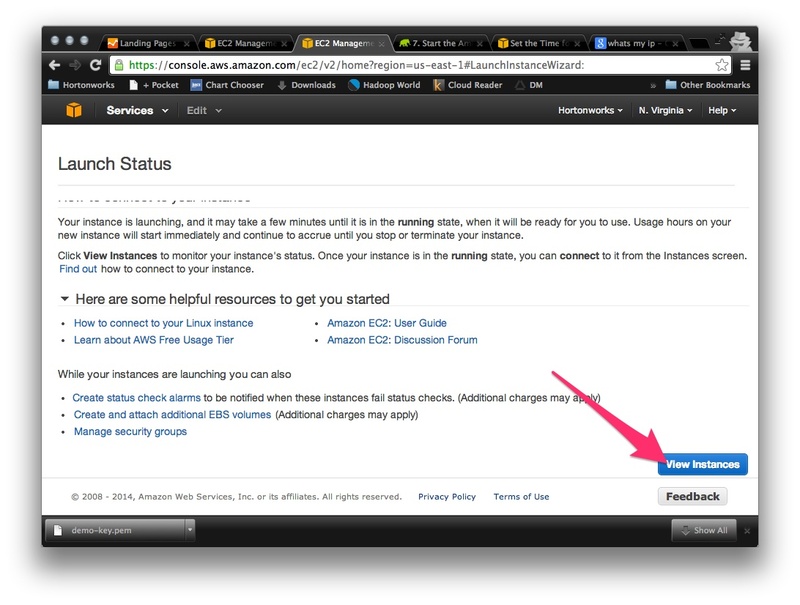 You should add that for AWS, the default user when adding the Hosts should be set to ec2-user, root will fail. Anyone faced a similar issue ? I have the same problem.. did you solve it? I’ve encountered the same problem. I’ve only come across updating openssl as the only viable solution. However, this still doesn’t resolve the problem for me either. This is for HDP 2.2 and Ambari 1.7.0. Have you had much luck? All this blog was a single line of code with the now abandoned whirr and it offered also a distributed script execution capability to install custom software. I don’t think we share the same definition of progress. One big problem with this approach is that as soon as the instances are shut off and turned back on, the IP addresses and hostnames change, which means the cluster doesn’t know where to find its various services. 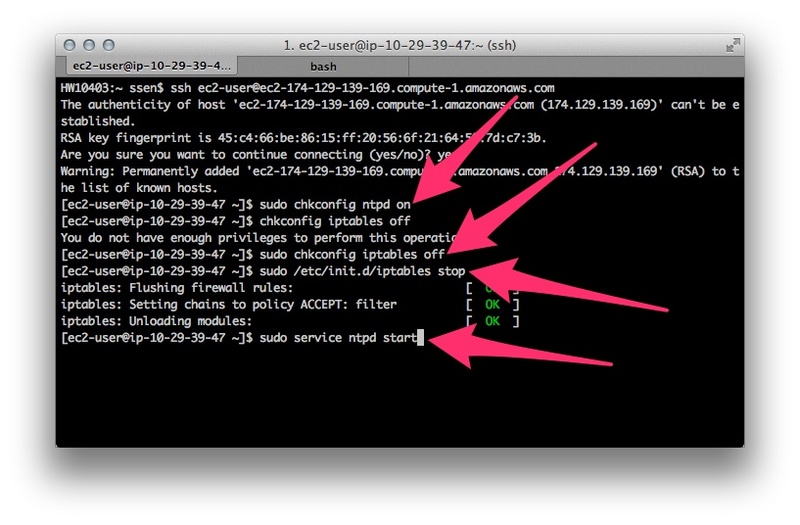 What’s a good way to deal with this by using Elastic IPs or a VPC or something? 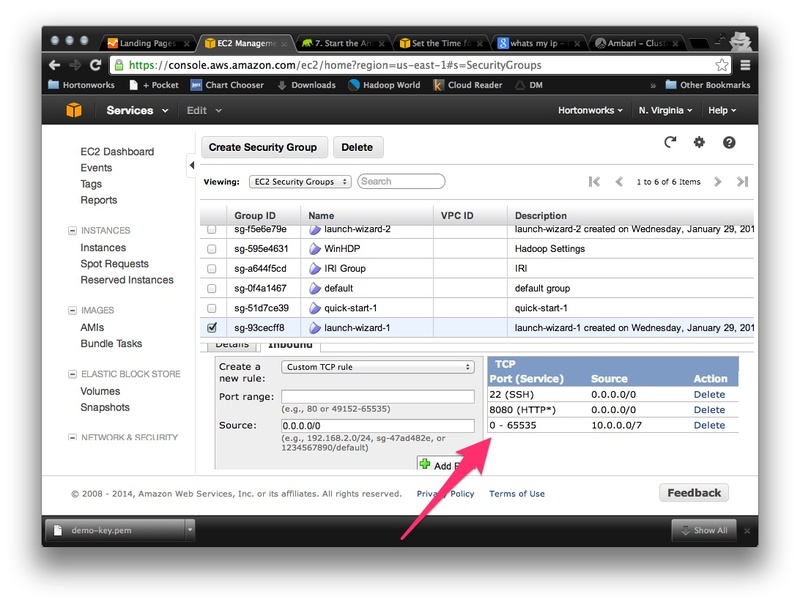 I am on EC2 RHEL image (7.1). 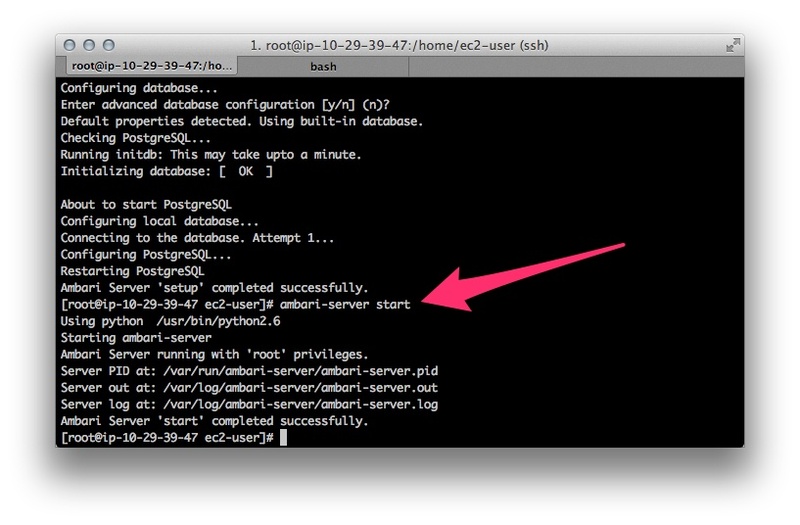 I used Centos 6 version of Ambar. 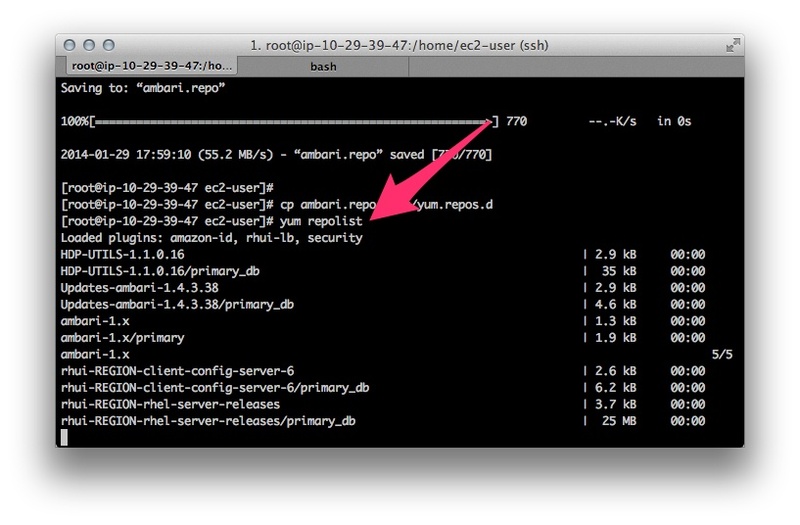 you are using an outdated Ambari repo. 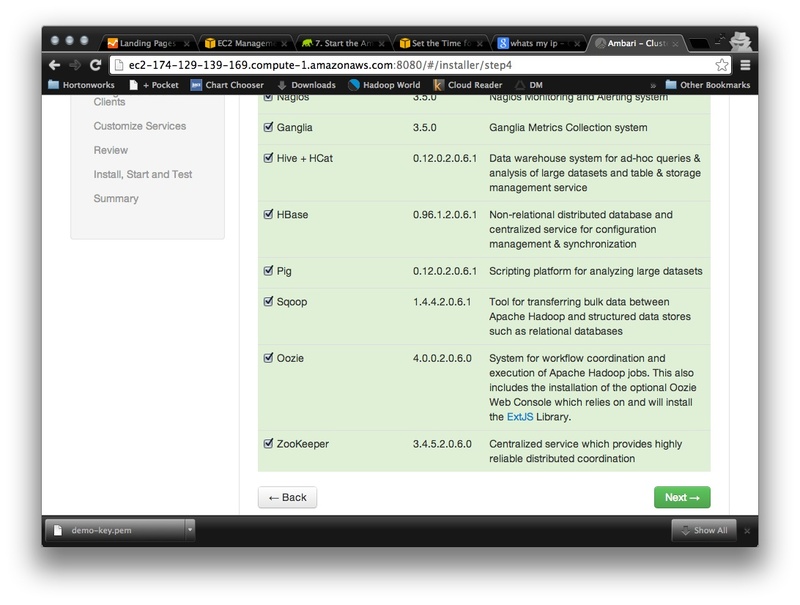 check the main hortonworks documentation as there are many out of date documentation on google. what is the main use of hadoop? After performing the above steps on amazon, is there any way where i can use the amazon api to use and restful services for HDP, so that i can access the data in any other web application? Can anyone help me on this.? 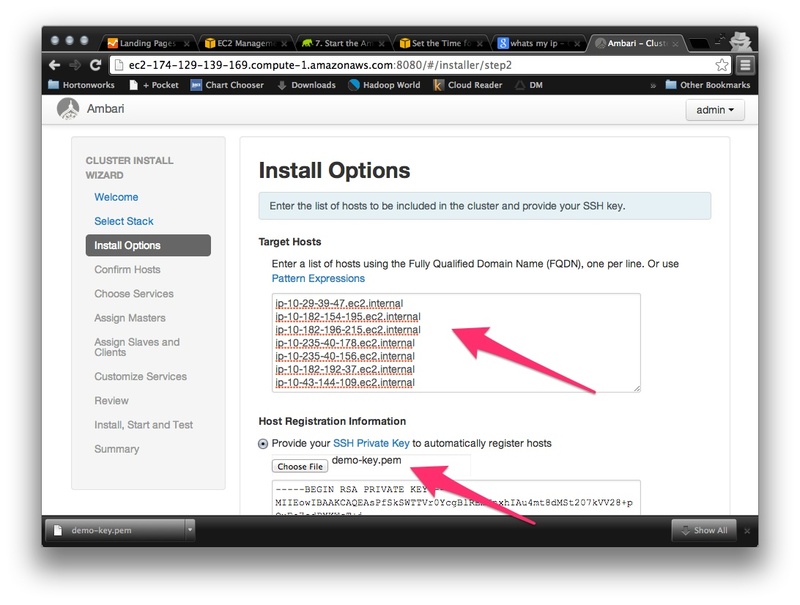 I am installing HDP 2.0 using Ambari on AWS EC2. 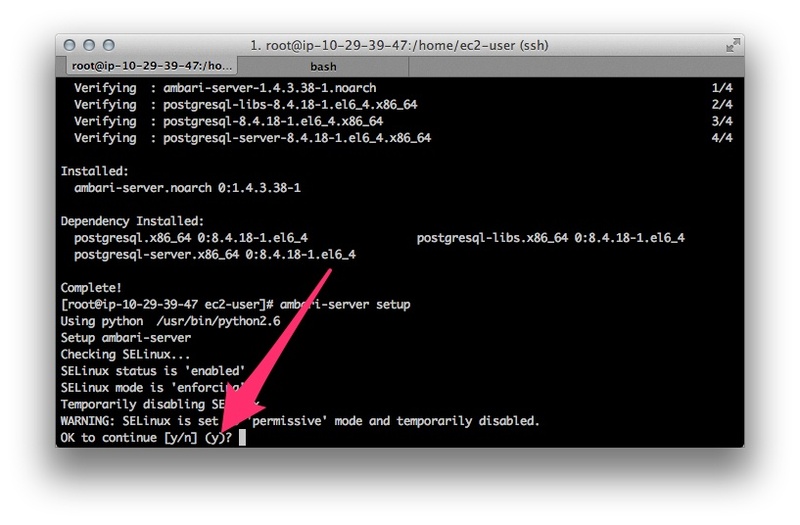 I installed Ambari and able to open the console. But when trying to register host list, its getting failed. I am not able to get logs aswell. Every information from this website and all other websites were helpful. And more over that it was good experience. cluster , how the local repository (on windows VM) will work for faster installation of all services. 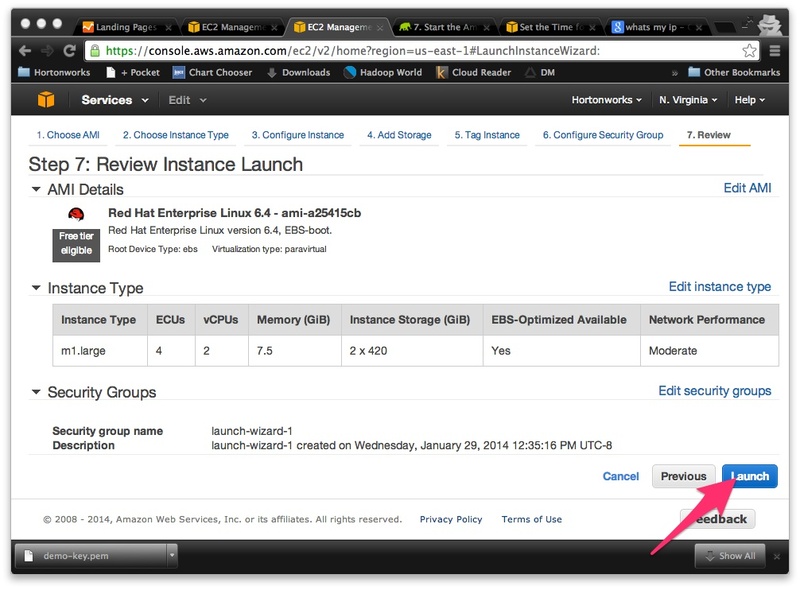 Really Nice Explanation with the screenshot .It is very useful to users who are looking for deploying Hadoop cluster on Amazon EC2 with HDP2. 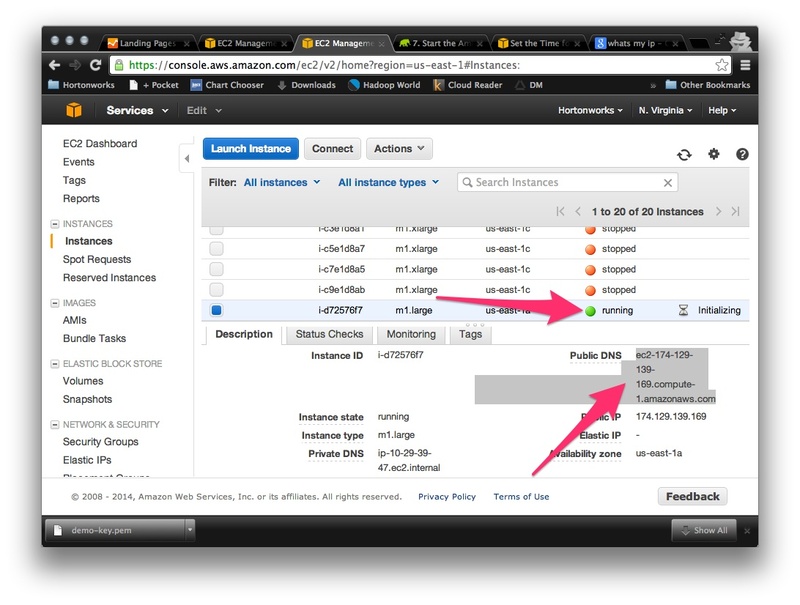 —>this blog changes 2 dashs into 1 long dash. We suppose will be a stupid mistake, but We dont know what more to do. First of all thanks for the well written document. I am getting errors in the preparations step itself. 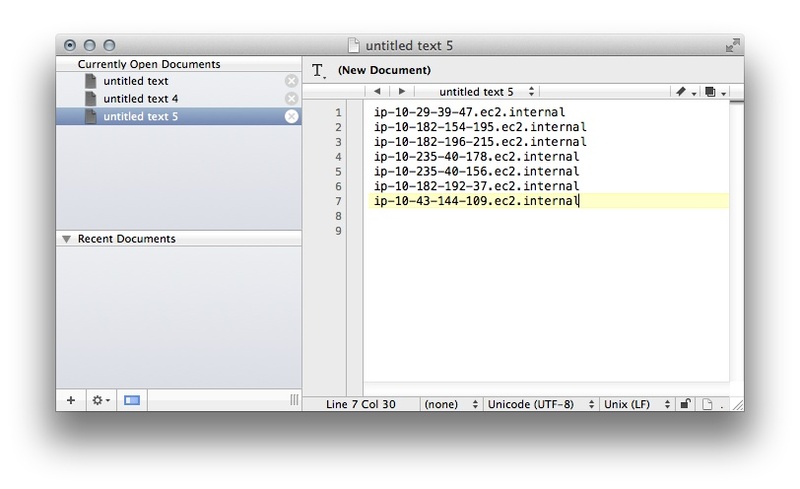 Is it possible for you to check and update the document if necessary. 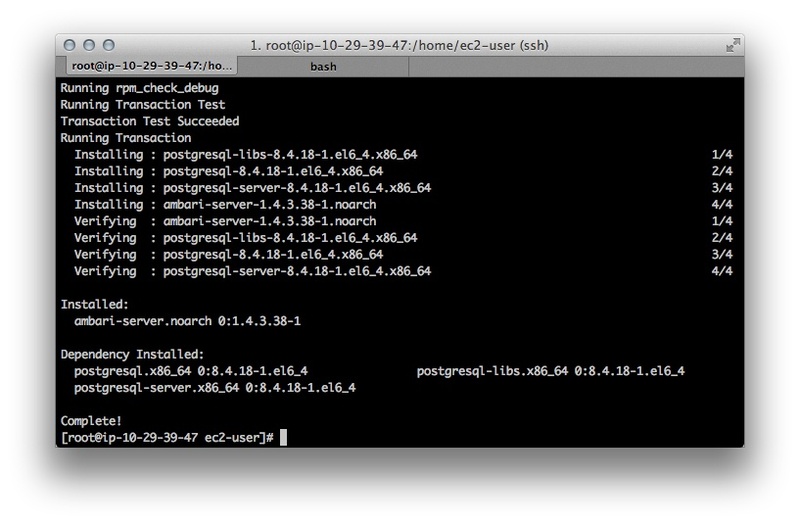 If possible please add the explanations like why we need to set up the iptables, ntpd, etc. it will be helpful for people who are new to this like me.